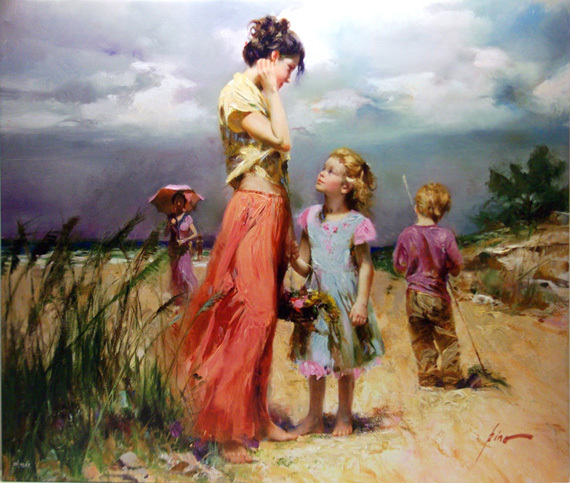 Italian artist, his art and canvases elicit feelings of warmth, nostalgia, love and family. 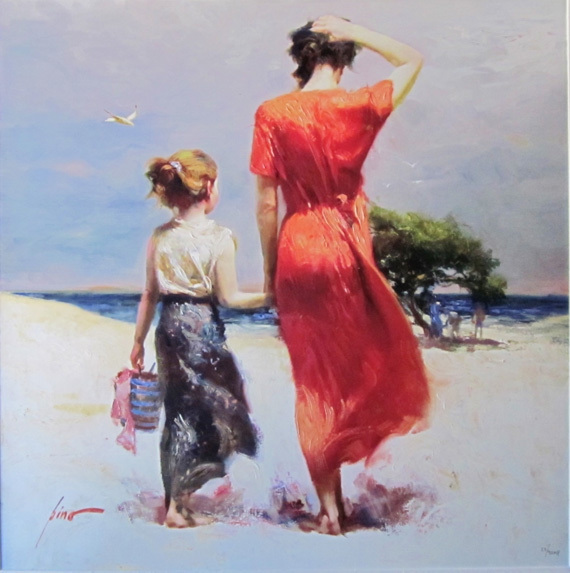 His paintings are often set on vibrantly sunny beaches on the Mediterranean where he grew up. 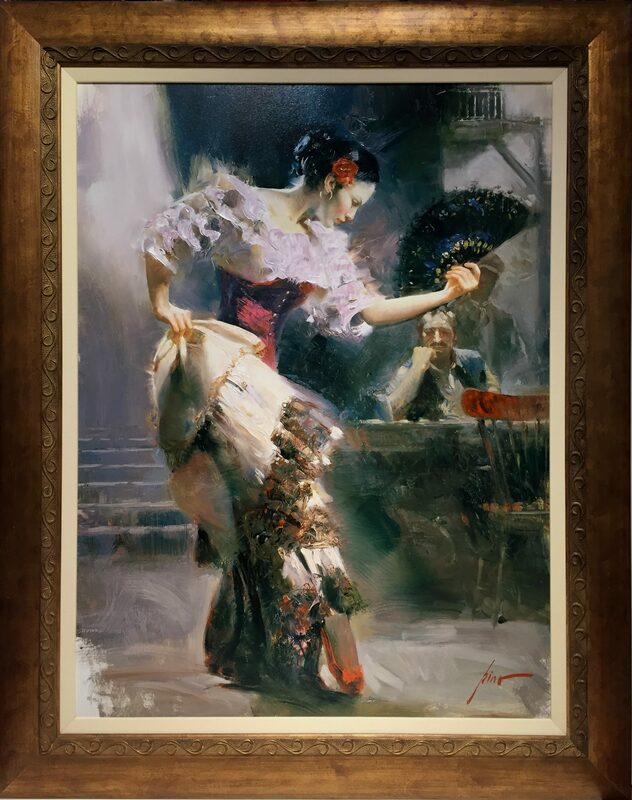 Pino (born Giuseppe Dangelico) is noted for his exceptional ability to capture the movements and expressions of his subjects – a talent which has brought his artwork a worldwide following and private commissions to do portraits. 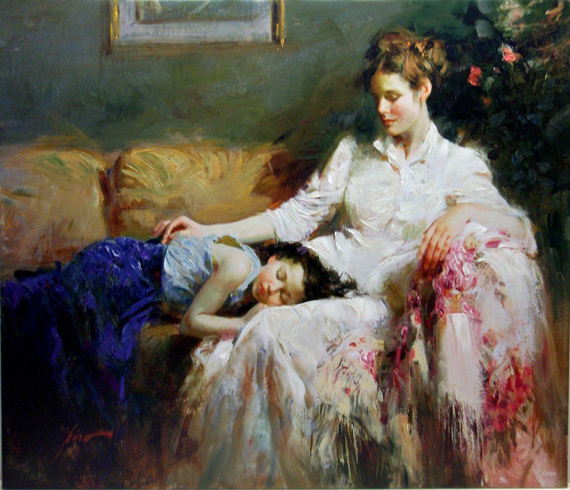 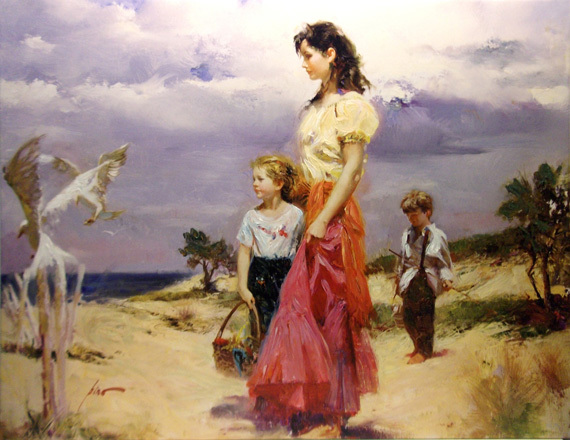 Pino’s alter ego, a young boy surrounded by beautiful women, (his sisters, aunts and cousins), is found in various states of emotion ranging from adoration to isolation. 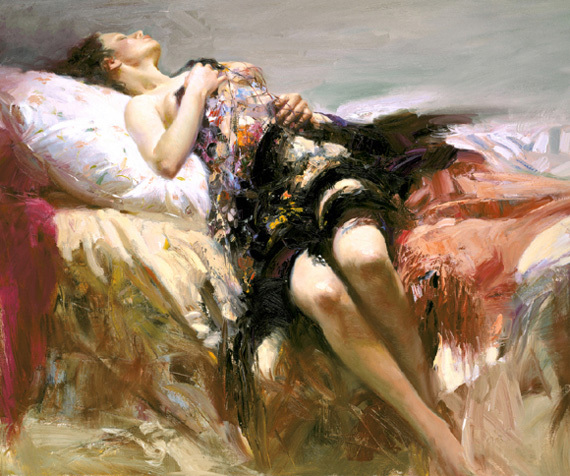 Many of Pino’s characters are frequently depicted inhabiting sensuous boudoirs or dressing rooms, in anticipation of their husband or lovers. 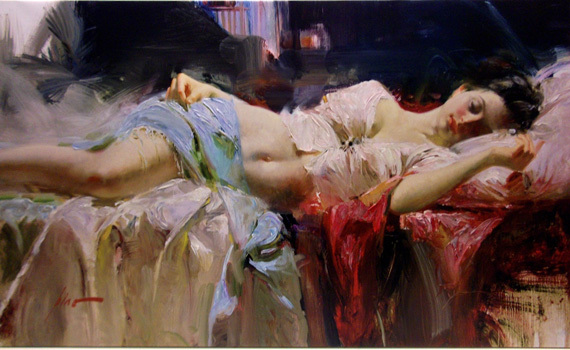 Trained in Italy at the Art Institute of Bari, and later at Milan’s Academy of Brera, Pino perfected his skills painting nudes and figure studies heavily influenced by the Pre-Raphaelites and Macchiaioli. 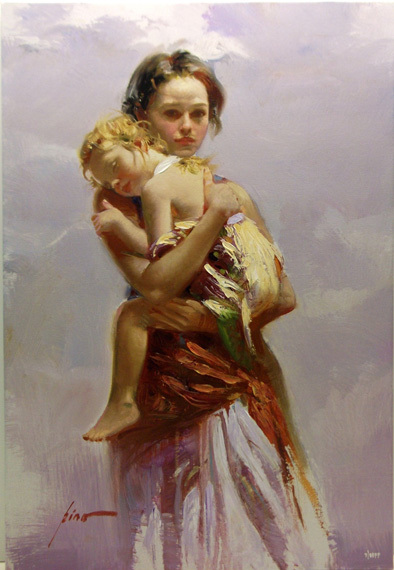 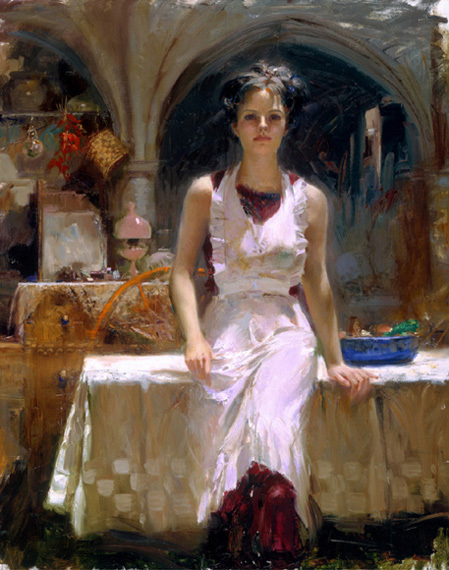 After establishing himself as a successful artist in his native land, Pino immigrated to the United States, seeking more artistic freedom and opportunity. 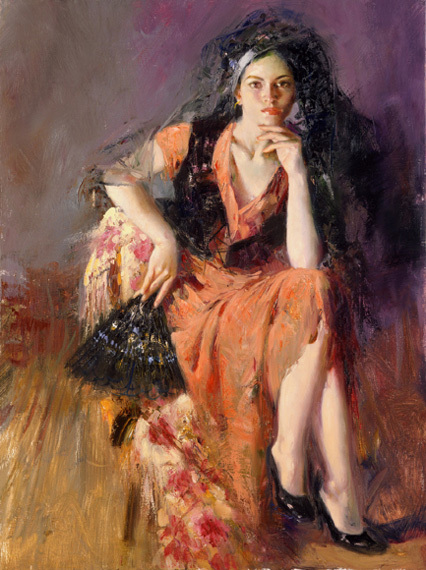 He was soon discovered by the distinguished Borghi Gallery, which gave several exhibitions for him in New York and Boston. 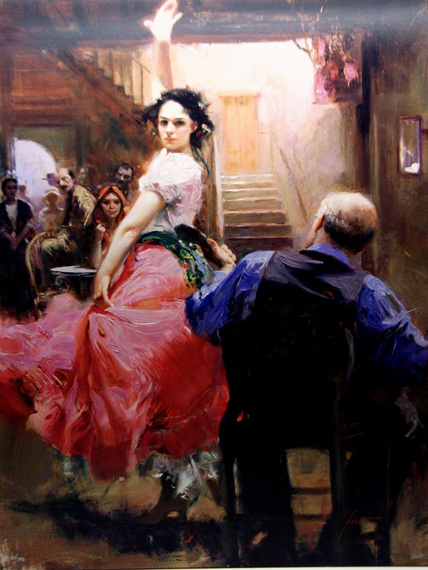 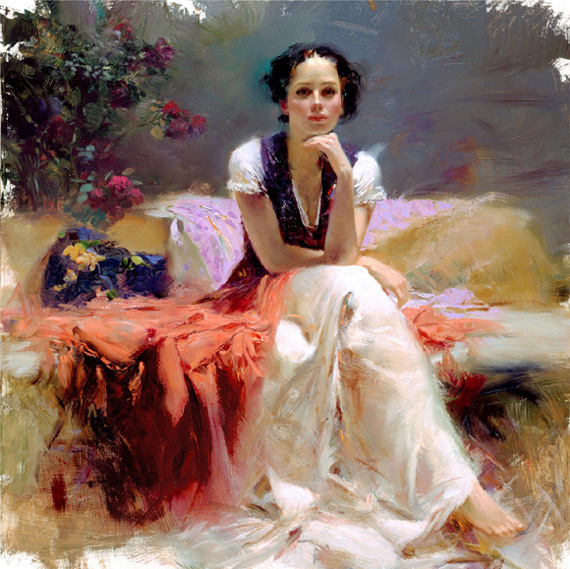 Pino’s early paintings featured soft romantic characters mostly women dressed in flowing skirts and dresses; and these caught the attention of both Dell and Zebra Book Publishers. 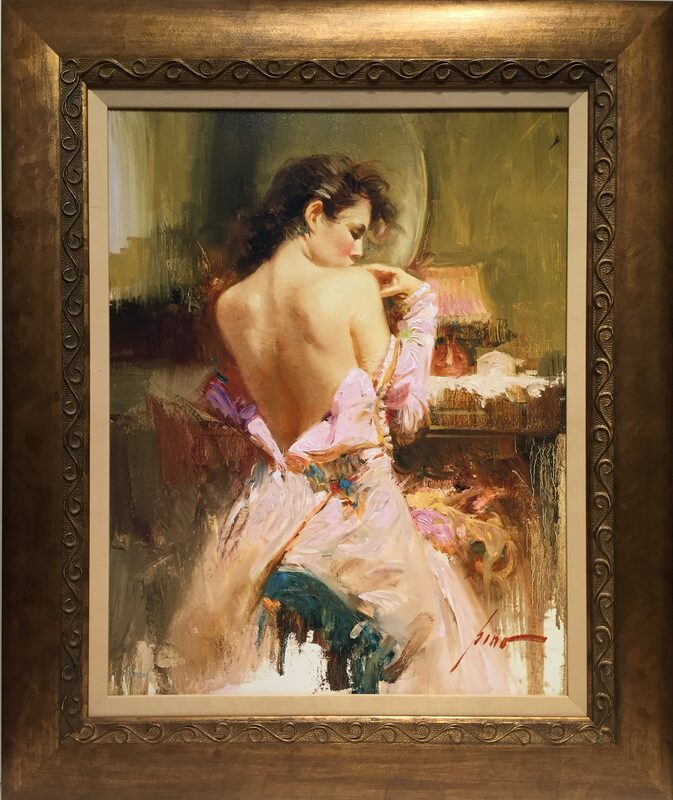 In 1980 Zebra commissioned him to do his first book cover; his popularity grew within the literary community and he became the artist-in-demand for Zebra, Bantam, Simon, and Schuster, Harlequin, Penquin USA and Dell. 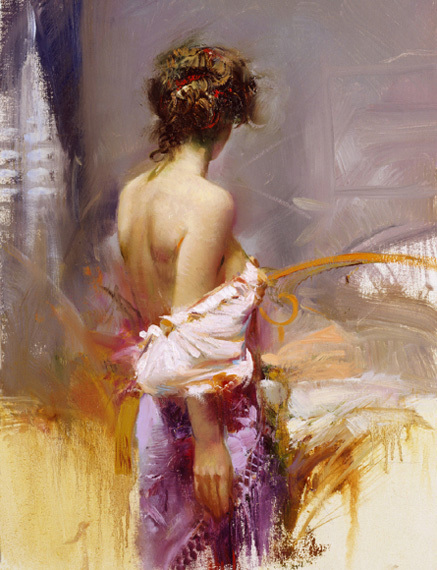 To date, Pino has illustrated 3,000 books; his style has dominated the market.Pino’s technique, his warm and exciting colors and the subtle, but simple approach to his subject, are the reasons why his original paintings, his hand-embellished limited edition serigraphs, and his gicles are sought-after by collectors throughout the art world.